Elephant Games presents the next installment of the Chimeras series! You're off to Scotland to learn more about your heritage. What starts as a relaxing vacation quickly turns into a journey through time! Your ancestor has been kidnapped by a bandit. It's up to you to save her! But not everything is as it seems in this magical world. Will you be able to help the county before it's too late? Find out in this riveting hidden object puzzle adventure! 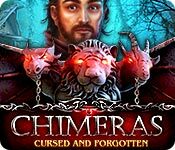 Chimeras: Cursed and Forgotten is rated 4.2 out of 5 by 11. Rated 5 out of 5 by denniann2 from another great game in the series you are going to scotland where your ancestors are from for some rest and relaxation. when you get there you wind up traveling back through time to save an ancestor who has been duped into thinking her beau is actually the one she is marrying. there are very sneaky things going on behind her back. i played on the custom level. a good hint system. Rated 5 out of 5 by ninja226 from Highlander meets Groundhog Day The artwork for this game is gorgeous. Has good special effects and voiceovers. The background music is a jaunty Scottish jig. The story reminds me a lot of the Highlander movies popular in the 1990s. No doubt some will complain the mini games are "too easy", but I found them to have just the right amount of challenge, without driving you crazy. The story moves at a good clip and the experienced Fishie will quickly walk through all the steps needed to save the princess and restore peace and harmony to the kingdom. I didn't want the game to end and found the ending very abrupt, but with a happy ending. This is my 1st exposure to this series and will be looking for other titles in the series to explore. Loved this one, though. Rated 5 out of 5 by catrionajeanc from liked it I liked the game. I was fun to play. Rated 4 out of 5 by Majestyx12 from I wouldn't mind visiting in Europe. I bought this after I tried it. I didn't think I would, but I wanted to know what happens next. I don't like hard puzzles. I find them frustrating. I liked all the puzzles but 2. I didn't like the pipes and the ropes (embroidery) I loved the HOP and I like them in plain sight. You still have to find them in plain sight and you can enjoy the Illustrations. I liked that it wasn't dark and that it was in Europe. Rated 4 out of 5 by emollie26 from A solid game. A nice easy game. Good, clear graphics. Colours were spot on. I had no glitches. Game ran smoothly. Could use my system cursor, which I prefer, as opposed to some of the big, clumsy things, that have to be used in many games. Scenes changed quickly. Short dialogue, a big plus, for me. Hidden object scenes were varied. Quite a few puzzles, too. Mostly easy, which is great for me, as puzzles definitely aren't 'my bag.' I did find the game too short, which was disappointing. Good game for beginners, as I found very little challenge in it. No helpers in this game. HOORAY!!! Rated 4 out of 5 by deddu from Who is the Bridegroom Interesting story with time travel and difference identities. 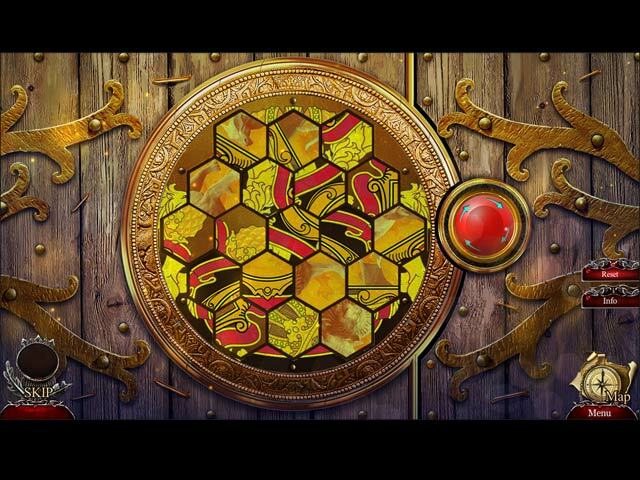 I liked the hidden objects and puzzles. Some were hard others easy and familiar. All in all a good solid game. Rated 4 out of 5 by RevRose from Entertaining piece of storytelling The link to the previous Chimeras games is tenuous at best, but taken on its own merits this is a solid game. I've only played the SE, so can't comment on any CE bells and whistles. The story is entertaining - a mixture of Groundhog Day and thwarted bridegroom. I can't honestly say the Scottish setting added much to the story, apart from some bagpipe and thistle theming, but it all looked very pretty. A nice point was finding a pair of scissors which you got to keep and use several times. As most veteran HoGers will be aware, all too often that useful knife only gets used once cut a rope, vanishes and then one move later, you need something else ... so frustrating. Anyway, the scissors were much appreciated! Characters were a little thin and the game isn't overly long (I cantered through on easy level in under 3 hours) but is enjoyable. Give it a try, it has very little wrong with it and rather a lot right. Rated 4 out of 5 by pennmom36 from Deja Vu? *******More Like Deja Vecu One Minute you're enjoying your holiday in Scotland, the homeland of your ancestors, the Heartfells. But in the blink of an eye, you find yourself smack dab into the same exact time period as your ancestors, September 18, 1751 (hence Deja Vecu not Deja Vu) ! This is a date the citizens of Invert County relive, over and over and over again, but they are unaware of this occurrence, they have no clue that they have been cursed by the Chimera's Curse. They have literally been Cursed and Forgotten, as time passes them by! Today, like yesterday and the day before, it is Elizabeth Heartfell's wedding day to William Sutherland. Unfortunately, Elizabeth will never live to wed the love of her life if you cannot stop the dark magic that surrounds this cursed county. The good new is, you'll have all the time in the world to separate the good from evil, because there's always tomorrow and tomorrow is always today! What a beautiful love story with an interesting plot that would make Bill Murray proud! After playing the entire Collector's Edition as well as this Standard version, (because I always wanted to know the differences within each version) I still have a problem with the fact that the devs lately are going way off the deep end from the original plot. Chimeras are fire-breathing female monsters with a lion's head, a goat's body and a serpent's tail, NOT a dark spell! If they want to go so far off the beaten path, why not just make this a whole new series? I'm just going to pretend that this game has nothing to do with my beloved Chimeras series because this game doesn't hold a candle to the other games in the series! The Collector's Edition has the usual Achievements to earn, 32 Morphing Objects, 16 Collectible Tarot Cards with descriptions about mythical wizards, sorceresses, fairies, trolls, sprites and even the ever elusive Horse Rider who only seems to make an appearance about once every 7 years and is feared by all. The Collector's Edition also has 36 rather large, not so hidden Jigsaw Puzzle Pieces that can be assembled to form 3 different Screensavers. 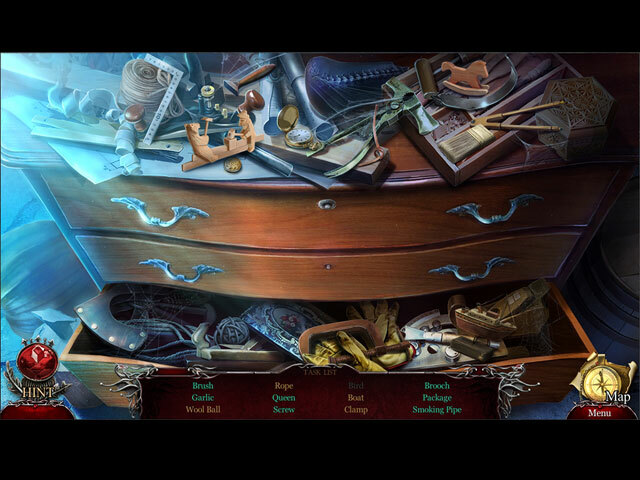 The Hidden Object Scenes vary throughout the game with basic Listed items with slight interactions to perform, mostly opening drawers or containers, opening up Lists with the find of 4 objects to drag to the outlines, finding Key Words during a story, Multiple finds of the same type of item such as musical instruments, finding two of each item to fill up Silhouetted Shapes, and one of my personal favorites was finding shapes and symbols in a tye dyed colorful swirl of paint or some other sort of liquid. There are also smaller Zoom Zone scenes and a scene where you click two items at a time to uncover 6 matching items. The Mini Games are way to easy, and thankfully they do indeed get somewhat increasingly more difficult as the game progresses, but most can be solved on the first try. Below are brief descriptions of some of the Mini Games you'll encounter during the demo, and some of my favorites from the game after the demo: 1) Complete the picture by moving the pieces to the right spot by swapping and rotating pieces. 2) Play the correct tune on bagpipes by repeating the notes in the same order as shown. 3) Place wooden boards in the correct positions so they form a complete gapless fit. 4) Throw a lasso when the meter shown is in the green target zone, three times correctly. 5) Restore the stained glass picture by placing shards into the outlined slots. 6) Move the hand, shield and helmet of a knight into the correct positions as shown on a sketched clue. 7) Recreate symbols shown in the center bar by swapping symbols on the top and bottom columns so that when combined create the symbol shown. 8) Move the tokens from the left column to their positions on the right column without passing the tokens over each other. 9) Uncover matching pairs of symbols by flipping two stones at a time. 10) Help the frog get to the other side of the bank by choosing lily pads in the correct order. 11) Direct the boat to the tower avoiding danger and obstacles hidden under fog covered grids. 12) Connect all the pipes from the center to all 4 outlets until all 4 outlet lights turn green. 12) Deactivate all the lock pins using up and down arrows to light up each pin with the correct number of clicks. 13) Undo all the embroidery stitches by untangling the threads. The Collector's Edition has 5 Music Soundtracks, 16 Wallpapers, 12 Concept Art pictures, 18 Achievements, 36 collectible Jigsaw Puzzle pieces that will form 3 Screensavers, a Secret Room, 16 collectible Tarot Cards, 32 Morphing Objects, a built in Strategy Guide and a Bonus Chapter, enjoy!